- Change voice while calling via VoIP applications and Instant Messaging clients. - Do voice-overs and voice dubbing. - Make funny clips with special movie effects, sounds. - Produce professional audio voice for movie making purposes. - Change voice while attending E-conference. 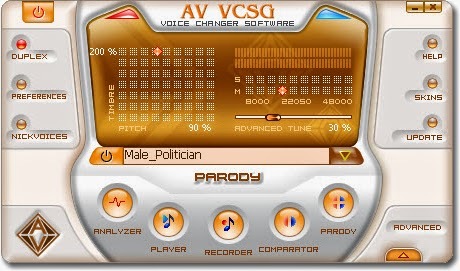 - Change voice while singing. - Professional yet friendly user interface. - Unique AV Virtual Audio Driver allowing you to change voice in real-time chatting. - 2-Dimensional voice changing (Timbre & Pitch). - Hundreds of customizable preset voices - "nickvoices" - available in just 1 click! - Long list of movie-style sound effects (including ~200 different effects). - Up to 50 animal voices. - Voice Analyzer: self voice improvement at home with 4 fundamental voice characteristics: Harmony, Brightness, Pitch and Score. - Voice Comparator: analyze and compare your voice with your target voice, then suggest the most similar voice settings in order to help you achieve it shortly. - And many outstanding features. 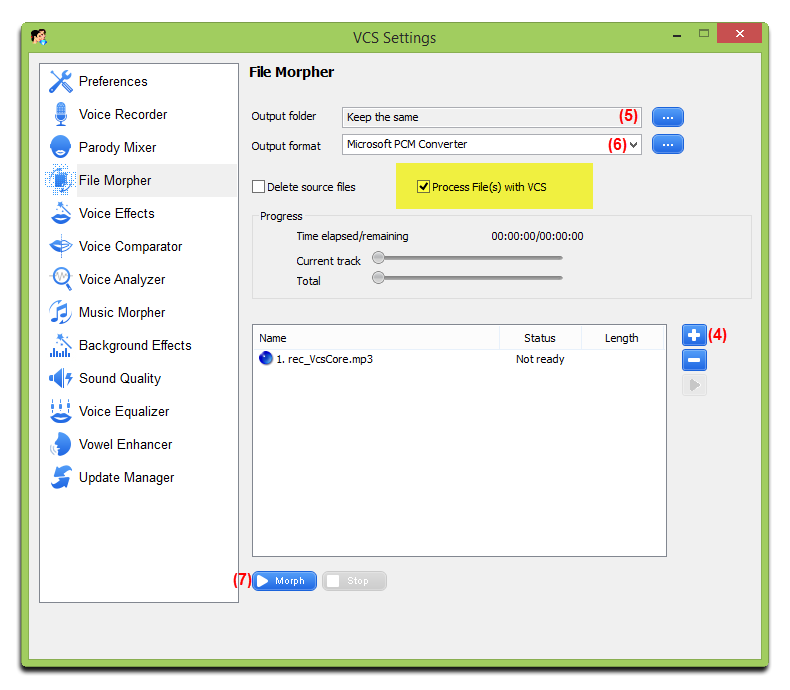 Today, Voice Changer Review Coupon (VCRC) will bring you the best voice changing tool with at up to 30% OFF regular price! Love is in the air as it is Valentine’s Day. Now who wouldn't be familiar with this great day meant for sharing love gestures? Couples desperately wait for 14th February to express their feelings to their partners. Today, Voice Changer Review Coupon is bringing you this tutorial in order to guide you on how to create a romantic message for your better half on this special V-Day. 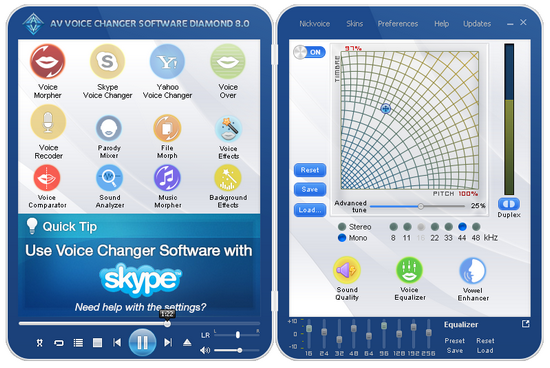 - Firstly, you will record you voice using Voice Recorder module from Voice Changer Diamond, then play it to listen to the result. While listening you can change your voice tone by the help of Voice Morpher graph, which allows you to modify and control Timbre and Pitch effectively. *Note: in this step, you can record as many recordings as you want, they can be recorded in different, unique voices. 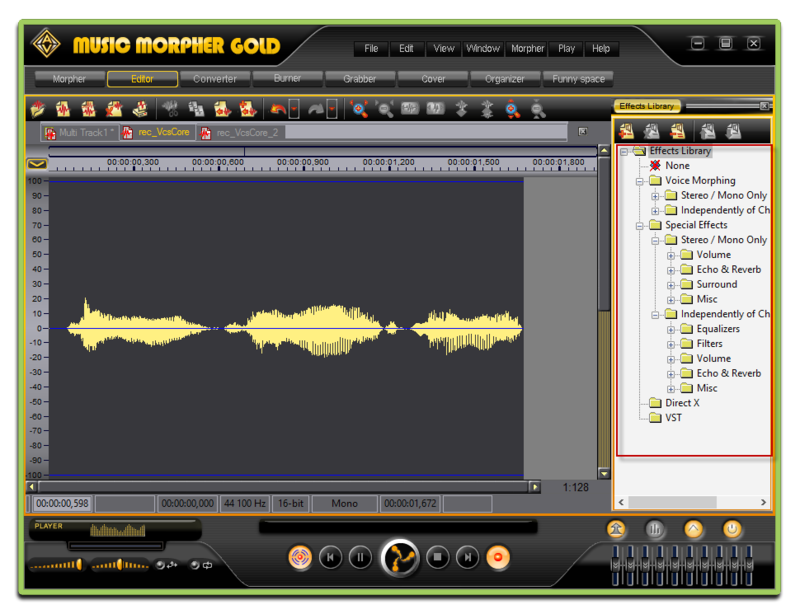 - In File Morpher module, you can add multiple tracks recorded and apply the rich, vivid sound/background effects to polish your messages. 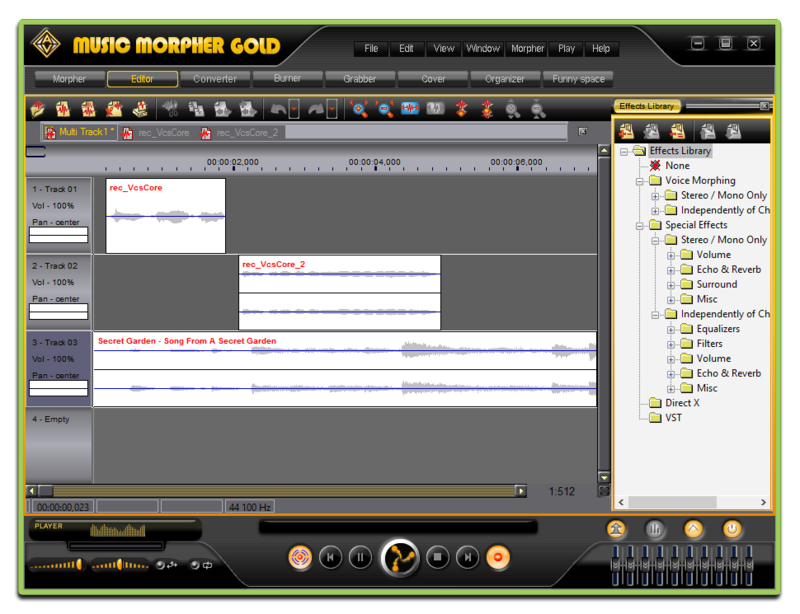 - Finally, you will join these heartfelt messages using Music Morpher Gold - Editor tab. 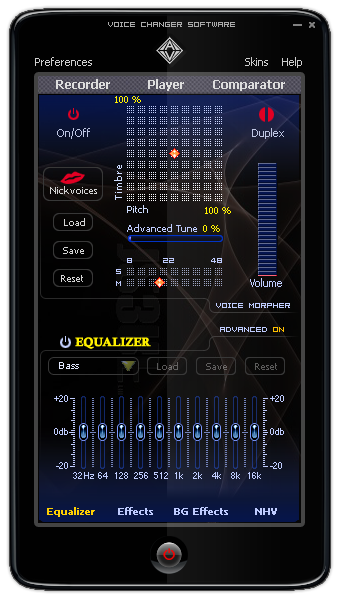 In this step, you still can still modify the tracks by applying special built-in effects from this tool to make your output more interesting. Click here for some romantic background effects. Now, expressing your love is quite easier, as you can send your love the deepest feelings you've never ever told him/her before. Let's make this Valentine's Day the most precious as well as get ready for a new love journey ahead. With a little creativity, enthusiasm and the help of a good voice changer software, you can completely fool your friends around. One thing for sure, you guys will have wonderful time laughing hard because of those cool jokes. It's an honor to get a phone call from the president of the United States, even if he's talking smack about your mother. Whether your friend's a devout liberal or staunch conservative, they'll get a kick out of these Barack Obama quotables. Know any Star Wars fans? They'll stop what they're doing the second they hear the iconic heavy breathing into their phone… is it REALLY Darth Vader? Of course it is. Most people would rather eat toothpaste for breakfast than talk to a kid on the phone, especially THIS kid. If you have a friend who isn't all that fond of the tiny, squeaky generation, send this mother trucking toddler his way. The government has shutdown and your friend's local representative is using tax money as a personal piggy bank! Winning a free iPad usually sounds too good to be true, and that's definitely the case with this prank radio call. Your friend may feel confident as he answers these simple and silly questions, but that won't last for long! 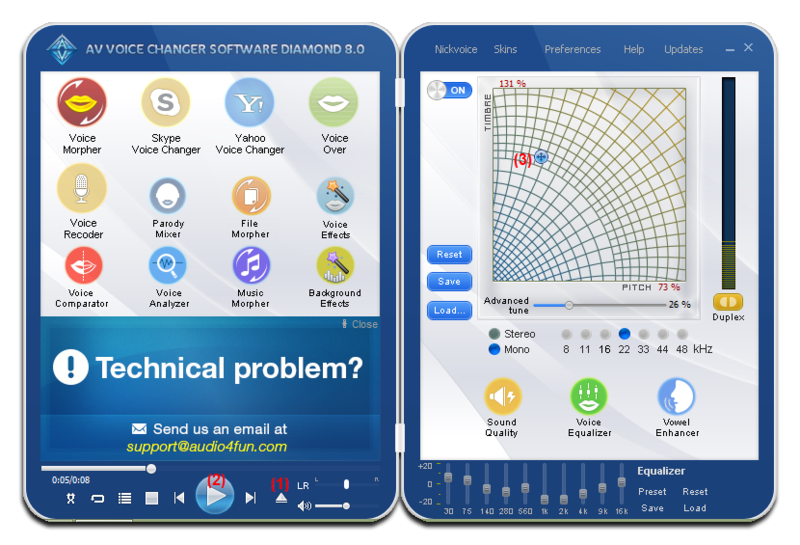 You can find more interesting voices which are always ready for use from the best voice changer - Voice Changer Software Diamond. OR, you can creatively create unique voice your friends have never heard before, your pranks would definitely be finnier than ever! This professional voice mastering tool is currently being offered at HUGE DISCOUNT of 30%OFF, exclusively for Voice Changer Review Coupon visitors. Click on the coupon to get your code!